Railpictures.ca - Mike Molnar Photo: VIA 73 is nearing its final station stop on its journey from Toronto to Windsor with a Canada 150 wrap unit. | Railpictures.ca – Canadian Railway Photography – photographie ferroviaire Canadienne. 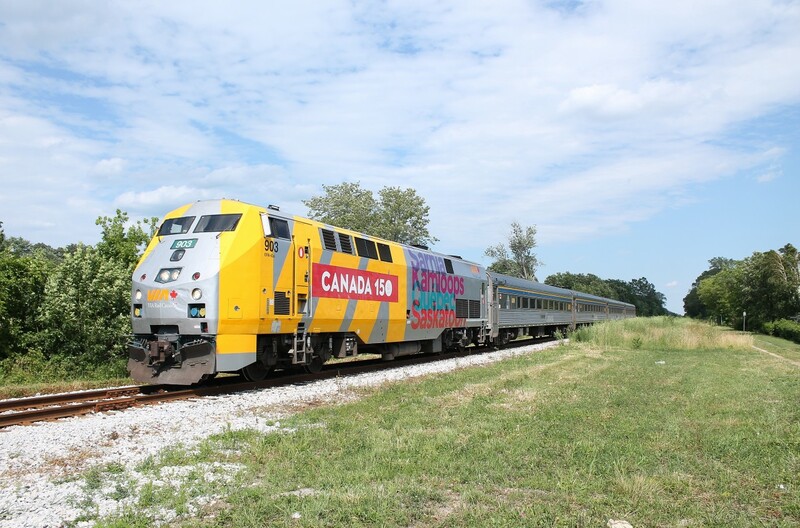 Caption: VIA 73 is nearing its final station stop on its journey from Toronto to Windsor with a Canada 150 wrap unit.